Seasoned world class artists and performers, they bring together vibrant World rhythms and Gaelic Irish culture and mythology. 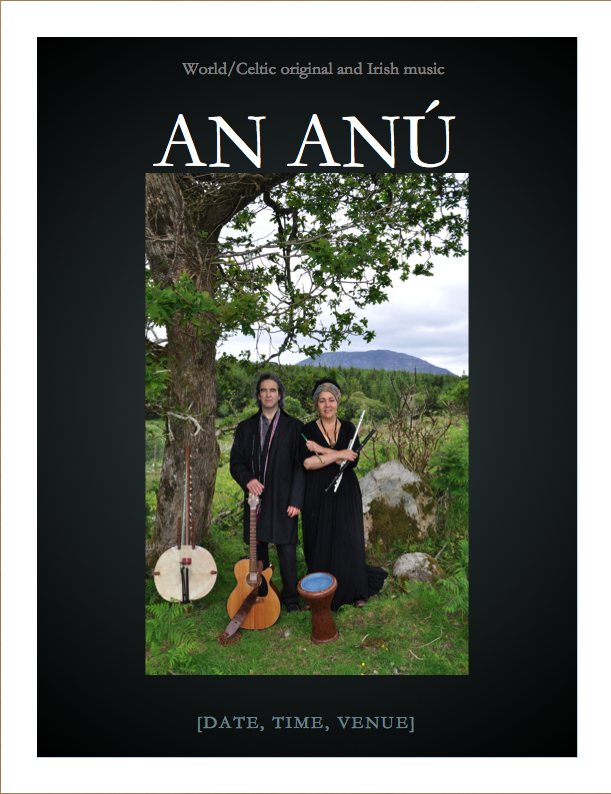 Both powerful and emotive vocalists and accomplished musicians Helen and Liam bring a musical message rooted in mythology and history, spirituality, love and hope for the planet. 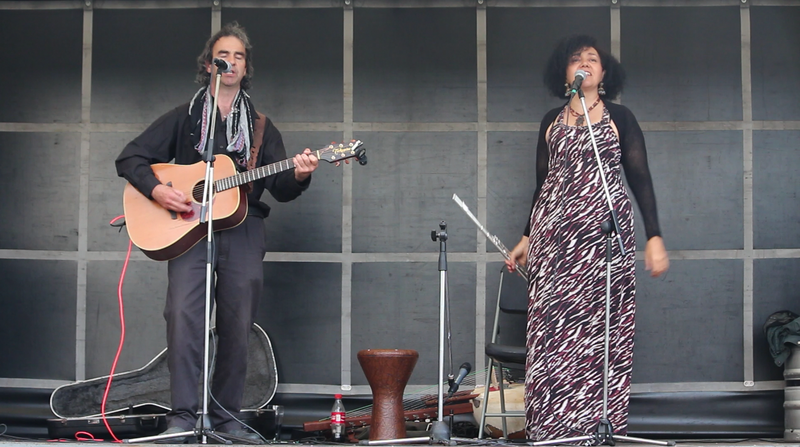 Instruments include, kora (West African harp), flute, Irish whistle, acoustic guitar and darbuka. Anú is the Celtic Mother Earth/Creation Goddess, the queen of the ancient Irish race; Tuatha Dé Dannan.